This year’s Distinguished Alumni honorees are Joseph Estrella, Barbara Takase, Noreen Yamane, and the late James Kelly. 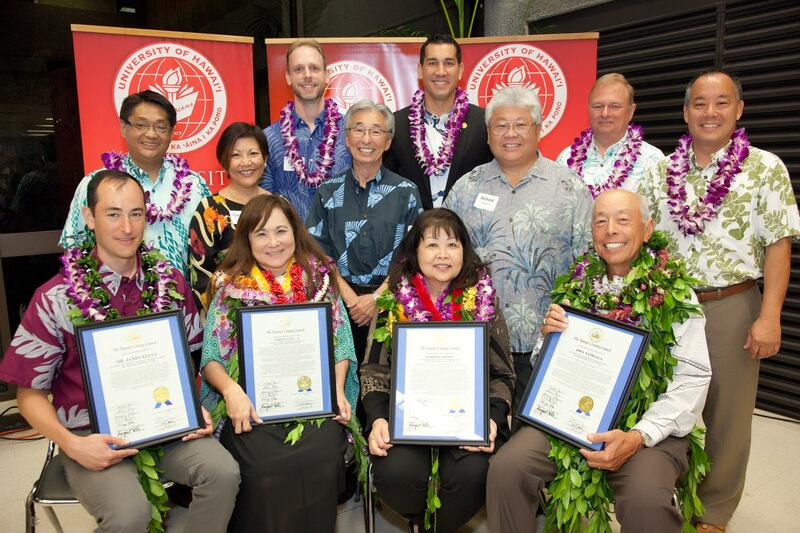 Honorees (front row, l-r)– Robert Kelly (who accepted award on behalf of his late father James Kelly), Noreen Yamane, Barbara Takase, and Joey Estrella, with Chancellor Straney and elected officials and guests. The University of Hawaiʻi at Hilo 16th Annual Distinguished Alumni and Service Awards Banquet was held Feb 27. 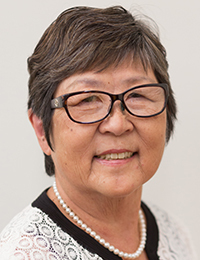 This year’s Distinguished Alumni honorees are former UH Hilo Interim Athletic Director and Baseball Coach Joseph Estrella, District Court Judge of the Third Circuit of Hawaiʻi Honorable Barbara Takase, and recently retired Hawai‘i Community College Chancellor Noreen Yamane. The late geographer James Kelly was honored for his distinguished service to UH Hilo and the community—his son Robert Kelly accepted the award for his father. The event was organized by UH Hilo and the university’s Alumni and Friends Association.